The Strait of Gibraltar is the stretch of water the separates Gibraltar and Spain in Europe from Morocco and Ceuta (Spain) in Africa. This narrow strait connects the Atlantic Ocean to the Mediterranean Sea and is 14.3km (7.7 nautical miles or 8.9 miles) at its narrowest point. The strait is much deeper than the English Channel at between 300 metres and 900 metres. Unlike other tidal channels, the water in the Strait of Gibraltar flows continually with the deeper saltier water going westwards and the surface waters moving eastwards. 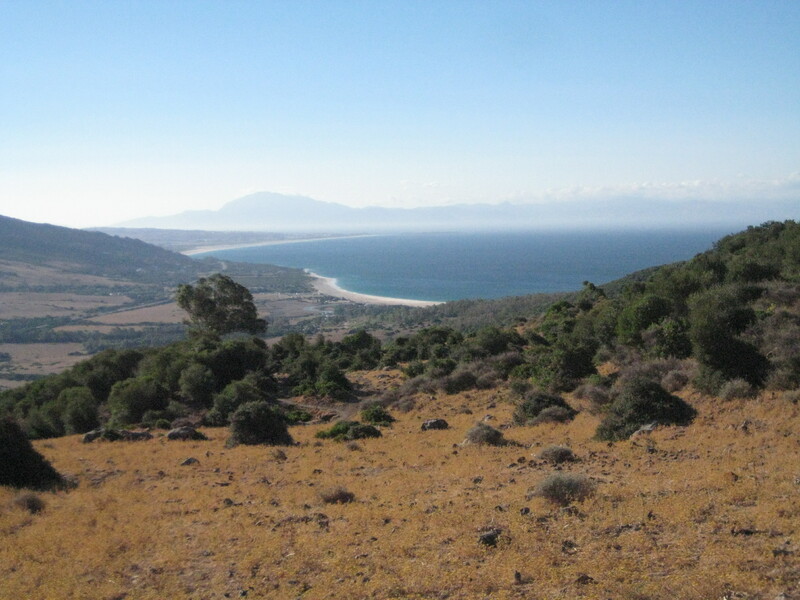 As a result of the flow of water a swimmer must swim directly southwards from the southernmost part of Spain (in Tarifa) and rely on the current to push them onto the most Northern Part of Morocco. On a good day it is possible to clearly see Morocco from Spain and you almost get the sense that a good swimmer could swim without the need for a support boat!